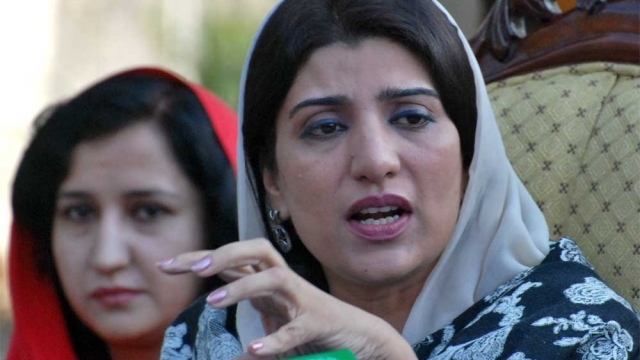 In the ongoing anti-corruption crackdown, the National Accountability Bureau (NAB) on Monday summoned Pakistan People’s Party (PPP) leader Farzana Raja in connection with the embezzlement case in Benazir Income Support Programme (BISP)’s funds. The anti-corruption watchdog has formally launched an investigation into the alleged Rs 3 billion embezzlement in the BISP’s advertisement funds. Ex-BISP chairman Farzana Raja was summoned for interrogation. NAB will also hold enquiries against the owners of private advertising companies including Sher Khan, Inam Akhtar and others. It may be mentioned here that Farzana Raja was appointed as the chairperson of the Benazir Income Support Program (BISP) in 2008. Benazir Income Support Programme (BISP) was launched in July 2008 with an immediate objective of cushioning the negative effects of slow economic growth, the food crisis and inflation on the poor, particularly women, through the provision of cash transfers of Rs 1,000 per month to eligible families. Its long term objectives include supporting the achievement of Millennium Development Goals (MDGs) to eradicate extreme and chronic poverty to empower women and to achieve universal primary education. No need to issue summons to Farzana Raja, she accumulated looted wealth exactly the way as NS and AAZ did and they were never reprimanded so why to put her on trial?